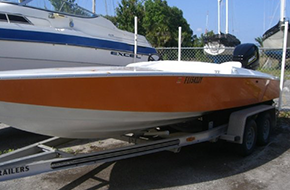 Red Bay Marine Repair is committed to providing boat repair and service done right the first time. We provide an estimate before work is performed. 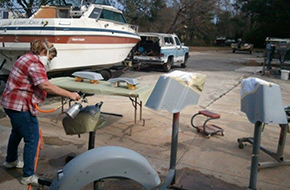 Red Bay Marine Repair can get most any part, whether it be for the engine or the boat hull. Even hard to find or obsolete parts. For more than 24 yrs Red Bay Marine has been fixing what is broken on thousands of boats in North Florida. We are very proud of our reputation which came from years of treating people the way we want to be treated. We also provide a estimate before the work is performed. 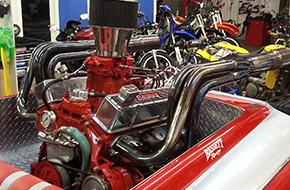 We can do just about anything with the engine from routine maintenance, tune ups, to powerhead rebuilds. Same with the boat hull anything inside and out. We can also do trailer repairs and fuel tank replacements. Contact us today at Red Bay Marine Repair to receive the most honest and reliable estimate. For more information about our services, get in touch with us today!